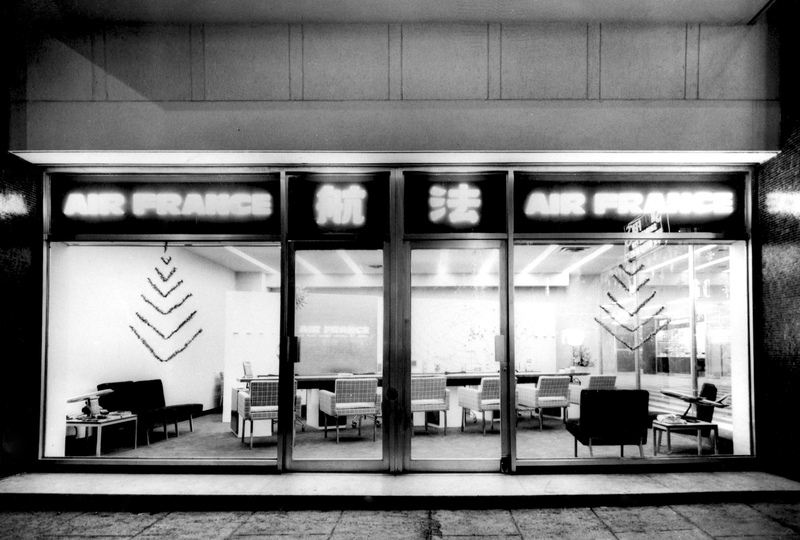 In 1938, five years after its creation, Air France was continuing to expand its network. In particular to Asia, the "fiefdom" of its forerunner Air Orient, which had bequeathed the famous "Noguès route" from Paris to Saigon*, launched in 1932 by Maurice Noguès. It was a real long haul: 12,000 kilometres in 10 and a half days! Air France was building on the legacy of Noguès, who died tragically in 1934. In 1938, the route, which was operated by the new Dewoitine 338 – a three-engine aircraft with 12 seats, including 6 "chaises longues" - was extended to Hanoi and then to Hong Kong. The British colony was first served on August 4, 1938, by the F-AQBF "Ville de Vientiane". It then took six days, and 18 stopovers, to reach Hong Kong, known as the "fragrant harbour". Interrupted by the war in June 1940, Paris-Hong Kong flights resumed in 1947. Over the years, progress has enabled the route to increase in speed, capacity and frequency. From 1960, the first jets were put into service: Hong Kong was served three times a week by Boeing 707 (150 passengers). Traffic increased, driven by the city's economic boom, which was handed over to China in 1997. Air France now flies to Hong Kong every day from Paris-Charles de Gaulle. The direct flight by Boeing 777-300 takes just 12 hours!